Bright new backpacks, pointy-tipped crayons and fresh-faced students eager to tackle a new set of challenges with JiJi. It must be back to school season. Learning and problem solving are two of our core values at MIND Research Institute, interwoven into everything we do. We learn by doing, which means we learn from our mistakes, and we persistently problem solve with a focus on continuous improvement and real-world applications. This includes improving our program to meet the evolving needs of our students, teachers and administrators. 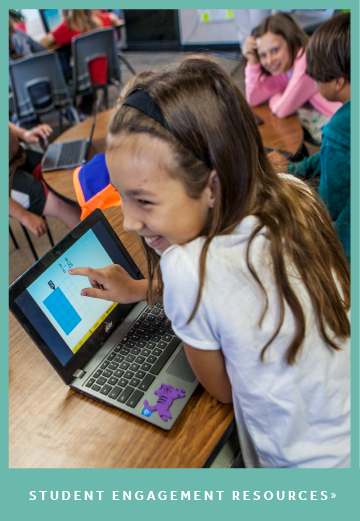 Throughout the year, we receive valuable feedback from our ST Math users and our educational consultants who support schools, and together we work through these challenges and create new solutions that make ST Math a more effective learning solution. Fresh content. First and foremost, we help student learn and master mathematics, so we’re especially excited about the new content rolling out this year. Our teachers have told us they need more ST Math games that explore fractions with unlike denominators, a notoriously tricky concept to teach and to learn. In response to this feedback we’ve added new objectives in our 5th grade, middle school and high school programs, to deepen students understanding of this critical content area. Improved learning path. We continuously monitor game play data from our system to look for areas to refine and smooth the student learning path. Examining data from thousands of students’ ST Math progress, we noticed that the game Rubber Bands (aka Stretch-a-Block) was an area where the learning path could be refined. To ensure that students experience a struggle that is productive and not overly frustrating, we have added a new progression to ease students through the levels of this game. Standards report. 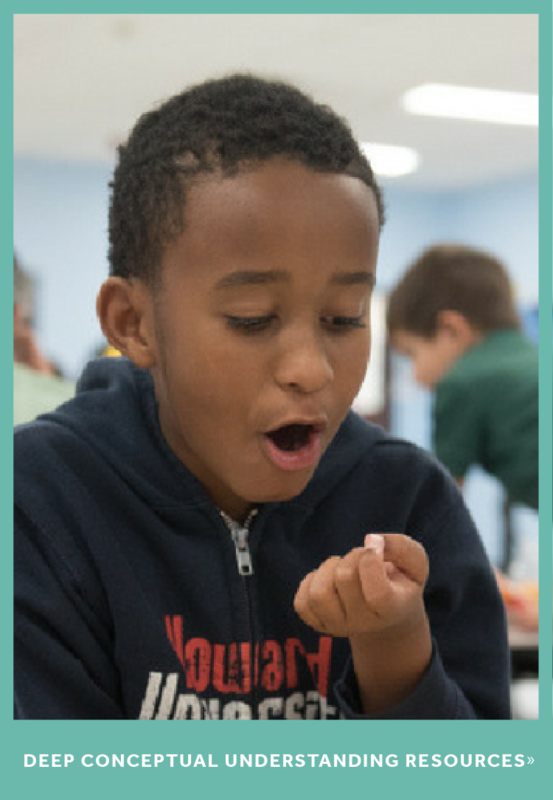 To support educators focused on new state math standards, we’ve introduced a Standards Report which provides detailed information about a student's performance in ST Math and how that correlates to state standards. Educators can quickly see where their students are at on each of the major content domains in their standards to help guide further instruction. Alleviating first week headaches. It’s easier than ever for returning teachers to set up their classes. The first time they log onto stmath.com in the new year, they will be walked through a series of prompts that will automatically set up their classes. The icon to click on to add new students at any point in the year has also been updated to be more intuitive. While we can’t eliminate all of the stressors in those first hectic days of school, we can at least make ST Math start-up as simple and streamlined as possible. Evolving school- and district-level rostering. We know. Rostering is not exactly fun for anyone involved but it is mission-critical. This year, our improved and more robust rostering process is aimed at shortening the time required for updates to appear in ST Math and providing more informative feedback about rostering to district and school sites. These, of course, are just the highlights. Other updates run the gamut from improving the user interface for certain games on touch devices to releasing an interactive online teacher manual. Returning ST Math users can learn more about the updates on the Teacher Resource Site. And please, keep the feedback coming, so that we can continue learning and growing with you. Matthew Feldmann is Vice President, Product, at MIND Research Institute.